While Hugh Lofting’s wonderful Dr. Dolittle books go back to the 1920s (with additional tomes in 1933 and 1948) and took place during the early Victorian era in Britain — actually Puddleby-on-the- Marsh, in the West Country — I didn’t discover them until I was about ten. And then devoured the entire series. I loved these books. When the film arrived in 1967, I recall a screening at Fox in NY, and it was 70mm. As to the film, itself, it may have been a difficult task to translate. And I’d not seen it again until Twilight Time’s new Blu-ray arrived. The film today, probably has a specialized audience. Pre-teens, possibly, who read, and may be familiar with the Lofting works. The film is a sweet production, filled with the innocence of childhood, and with the music of Leslie Bricusse, who also wrote the screenplay. Anthony Newley, who knows how to sing Bricusse, is a featured player, along with Samantha Eggar and Richard Attenborough. Does the film stand the test of time? But what I can report, as an absolute, is that Twilight Time’s new Blu-ray, which includes some worthy extras, is a magnificent affair. Color, grain structure (virtually invisible, do to the transfer element presumably being a 65mm IP), shadow detail, and overall resolution, are beyond reproach. I’d really love to know what ten year-olds think of it today. Please do report back. 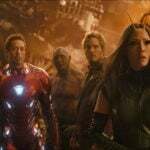 I believe after the movie finished playing in theaters it lost around 10 million dollars because it's high budget of $17 million which was three times the original planned. Big fan of Rex Harrison and have seen most of this films except this one which was not shown on tv or cable that much. I have to admit, I have completely changed my view of the film due to this magnificent release. Not being a fan of the film since I tried to watch it decades ago, I bought it solely to support the Twilight Time release and the work that Fox put into the transfer. But I absolutely found it delightful. Looong, but delightful and never for a second boring. Even the score was much better then I remembered. I had always remembered "At the Crossroads," which I loved and remains my favorite song in the piece. The performers are all in top form and I will go so far as to say that Harrison is every bit as good as he was in "My Fair Lady," even while the character is not as well defined or sharply written. Even Anthony Newley, who I frequently find can be over-the-top in his musical performances was nicely restrained. 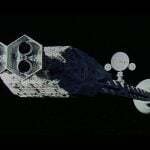 I certainly hope Fox will give similar time and effort to Robert Wise's wonderful "Star!" This is a film I've never had any interest in seeing but after reading RAH's review, I going to buy this disc. I'm buying due to it being a quality release of a large format film. The movie itself has a few bright spots and it will be interesting to see whether my 10 year old son enjoys it. I’d be most interested in your son’s reactions. I bought it for completeness of 70mm movies on Blu-ray and also my own memories. The only time I saw this was when it opened in 1967 in San Francisco at a theatre on Market Street. The presentation was a road show with hard tickets and 70mm. Hmmm. Rather boring I thought. I loved the photography by Robert Surtees and a few of the songs were OK. Probably not the right time or place for the film (San Francisco at the end of the Summer of Love? ), and as a graduate student at Stanford, I was not the right audience anymore (if I ever was). My reaction today is not that much better. I think it was not suitable for roadshow presentation, and should have been a 100-minute film of the sort Disney was making aimed at the family trade. One of my strongest memories of that night is of the large, custom-made display in the lobby for Star! that was scheduled to open the following spring. Somehow I missed the 70mm presentation of that film then and have not managed to see it in 70mm to this day. 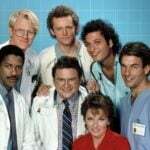 I love the LD that I have of it and have seen it many times. I do have a nine-year old grandson to whom I may show Dr. Doolittle but I doubt that it will be his cup of tea either. He is waiting for the new Star Wars movie right now. I was brought up on the Dr Dolittle books and read every single one of them. I was totally hyped about the movie and was excited to see it. Even before the movie came out, the music was all over TV. I had the soundtrack album and the Chipmunks Sing Dr Dolittle and I played them all the time. But I only saw the movie once and didn't want to see it again. Rex Harrison was nothing like the character in the books, and in the movie the only animal that really spoke was Polynesia the Parrot. The rest were just animals. I remember being ready for the movie to be over even before they set sail to find the sea snail. The second half of the film was a tough slog, just like the second half of Chitty Chitty Bang Bang, and to a lesser extent Mary Poppins. The idea of making a three hour movie for kids is just plain wrong headed. With everyone raving about this release, I think I'll buy in to support Twilight Time's work on this title, too. It's been a while since I've seen this film…and I remember thinking (when I was much younger) that it wasn't all that great (even with "Talk to the Animals")…but, who knows, maybe it'll work better for me now. I don't want to sound too negative, but the average 10 year old of toady will get out their cell phone midway through the movie, and lose interest in it completely. This comes from a lot of experience with young nieces, and nephews when their family attempts showing them a "classic" film. I on the other hand will enjoy it I'm sure. Probably right. My grandson carries around 3 devices at the same time. The real test would be a 70mm print in a great theatre, but that is not an option, unfortunately. My brother says all the time that he feels bad because he can't force them to watch a classic movie, and a "family movie night" turns into a movie night for him and his wife, and gadget and device night for the kids. It is the world we created, I guess we have to deal with the consequences. I couldn't be happier for this film's fans that they got the best possible Blu-ray and even an expanded soundtrack. I may even buy it just to see if my feelings about the film are the same as they were when I saw it in 70mm in 2005 at the Widescreen Weekend in Bradford, England. Now if only The Happiest Millionaire, also released the same year and my personal favorite out of the Hollywood musicals of 1967, could get that kind of treatment. Unfortunately, the studio that made it doesn't even believe its past live-action hits are worthy of anything but a new transfer. I also keep forgetting Herbert Ross staged the numbers of this before doing the same for Funny Girl and becoming a director in his own right with Goodbye Mr. Chips. Before he became the voice of Garfield the Cat, Lorenzo Music floated the idea making a snail the subject of an animated movie to Disney legend Ward Kimball. Needless to say, he wasn't enthused. Tried that, it didn't work. Our older sun went to UCLA and then to Chapman ending with an MFA in film and video. This did not yield a career (anybody getting married?) so he went back to school for an MS in computer science is now very gainfully employed in Silicon Valley. I spent a good deal of time taking him to kiddie movies of his choice, now he tries to take me. Classic films? No, not so much. He likes some of them but often misses the point IMHO. Maybe he'll have kids who will respond more favorably. Does anyone knoe what will be on the extra disc TT are sending out later? Is it a cd with just audio outtakes or a dvd with edited footage? I believe the first tv showing included the prologue with Harrison riding a giraffe to extract an alligator's sore tooth. I would think that sequence must then still exist. 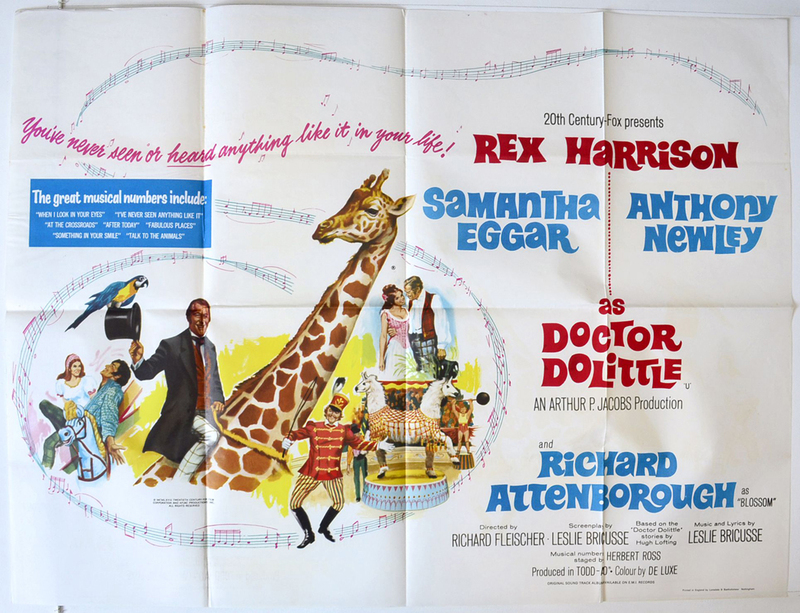 As the poster art had him on the giraffe,a scene from this was inserted later in the film but there is a continuity error in Harrison's clothing which most don't notice. Two excellent books dealing with the making of the film are PICTURES IN REVOLUTION by Mark Harris and ROADSHOW! by Matthew Kennedy. Richard Fleischer's autobiography is also informative.If I recall correctly, Samantha Eggar's character was originally only going to be romantically drawn to Newley's charactet, but Harrison insisted that she be also drawn to him and that he be given one of the love songs. I think this hurt the storyline somewhat and added a romantic confusion which was unnecessary and over the heads of the viewing kids. I was 8 when I first saw it and liked most of it but was somewhat disappointed. I am looking forward to the blu ray as I have the German one and it is lacklustre. Bravo to Fox for spending money to restore a movie which nearly sank them. I hope they do the same for STAR!, which has many virtues and is a better movie in my opinion. Last point, ANY other song from the score was worthier of a Best Song nomination and it should have gone to the non-nominated To Sir With Love anyway. I doubt there's a 10 year old today who wouldn't be bored to death by Doctor Dolittle. 10 year olds today are into the Marvel and DC universe. Maybe if it was animated, the 7 years old would go for it. 10 year olds today are bored with The Wizard Of Oz and The Sound Of Music, so poor Doctor Dolittle doesn't stand a chance. Although I'm closer to 110 than 10, I still love the film and appreciate TT's efforts in bringing the blu ray to fruition. Does anyone knoe what will be on the extra disc TT are sending out later? Extra disc? That is a surprising bit of good news. What have they said about that? Most kids today would be more likely to remember Eddie Murphy's version simply because it's newer and it got sequels. TT is not sending out an extra disc later. La La Land Records is issuing a 2-disc set of the soundtrack with bonus material. Apologies. I misunderstood the information I had received. The de luxe soundtrack sounds great. When will it be released? Best places to buy it online? I showed the disc to my 8 and 10 year old earlier this year. They found it a bit slow moving. May try again. We did see the roadshow My Fair Lady this summer. They loved it! It's going on sale and will start shipping tomorrow, 11/28, starting at 12:00 PM PST at the La-La Land Records site. In addition to their site, I imagine it will also be available at Screen Archives. This is a movie I like more and more as an adult. I like the spunkiness of the lead female character, the My Fair Lady-esque patter songs for Harrison, the orchestrations, the beautiful cinematography, the cute kids in the title song, and best of all — Harrison's impassioned plea for animal rights in "Like Animals". TT's new blu-ray is beyond magnificent — what a joy! Don't know why people worry about whether it "stands the test of time"… As to "does it still work in the context of today? ", I would say it prob plays better now than it did during the tense, turbulent late '60s when socially-conscious, oft-cynical stories were increasingly taking over the box office and epic musicals like "Dr. Doolittle" were not succeeding quite as they once did. I think the more surreal elements (eg. the two-headed llama) will be appreciated by kids today. Yes, it is LONG – it may help for one to split their viewing of it over a couple sessions – and many kids will likely get bored easily. Abt 10 years ago I was researching a film (title eludes me at the moment) on Imdb and found reviews mostly negative (some downright nasty). Then a few years later, I happened to look up the same film + found the star-rating had jumped significantly and most newer reviews positive. The point being, ofcourse, you never know how perception or tastes (including yr own), generally and/or about a specific thing, will change over time. I had never been able to sit through this film but last week watched the whole thing on HBO On Demand Obviously it is not the transfer on the new blu ray. Fans of the film, please do not attack me, but this seemed one of the biggest messes I have ever seen. The script meanders all over the place. There are some good songs though most of them are very poorly served. I was impressed by the design and the scale of some of the scenes. Believe me, I am a huge fan of the road show musicals of the 60's and am glad any Todd-Ao film is getting restored and put on blu ray. If you can find a copy, read THE STUDIO by John Gregory Dunne which documents Fox during the late sixties, with DOOLITTLE one of the films in production during that time (it was a very difficult shoot). I hope the Twilight Time disc is a success which might encourage them to do the same for STAR!—also a problematic film but I think significantly better. Again… if you love this film, good for you… we all have different tastes. I still hope one day we will get PORGY AND BESS, though that seems less and less likely as the years go by. you never know how perception or tastes (including yr own), generally and/or about a specific thing, will change over time. I wouldn't say that "worry" is the correct term; but, rather, that some are simply curious and interested to learn if this film will carry itself over into the 21st century. Meanwhile, I agree with you about "perception and tastes"; but would like to add that such things are also informed and altered when we are seeing a film that is restored to its rightful starting place. As Martin Scorsese once said in an interview; and I paraphrase; without restoration we are viewing films where "the information is lost" and therefore we are not seeing what was fully intended. This is why TT's Doctor Dolittle is to be celebrated; as this is the first home edition to present this film at its fullest 70mm theatrical glory. Only now, can a fair assessment be made; and only by those who also love classic films, as a whole. For me, it's the opposite. Rather than hoping the film "stands the test of time," I remember not thinking much of the film when I was very young. I'm actually hoping I might like it more now with my different perspective on life and film and all things. To me, films such as Doctor Dolittle play better today. It still has the same flaws it has always had — it's too long, too meandering, too dull for its target audience, but it also has a sense of craftsmanship, style and artistry that have been lost for decades. In this restoration, every shot is like a painting. The lighting may not have the realism found in today's films, but the skill required to bring a project of this nature to the screen is staggering. I am afraid classic studio filmmaking is now a lost art, and this is a prime example of that style at its zenith, just as it was about to collapse. I would tend to agree… it is a style of film making which is lost. Robert Surtees' had a wide and varied career…. consider the same year of DOCTOR DOOLITTLE he also shot THE GRADUATE. There are definitely shots which must have been breathtaking when DD was shown in 70mm on a huge screen. I do love the music under the opening credits… at least one song included was cut from the the film I think. Sometimes the credits promise so much more than the film that follows— PAINT YOUR WAGON is a good example. That this period of blockbuster musicals created in the wake of the incredible success of THE SOUND OF MUSIC produced both good and awful films is a given, though some of the studios were almost sunk when they failed. I actually appreciate this film more now than I ever did because of this beautiful Twilight Time restoration. The attention to detail in the costumes, production design, and beautiful music aren't done like this any more. And it is very entertaining — no SOUND OF MUSIC — but what is? It is interesting how our dyslexic fingers will sometime introduce or reveal an alternate meaning when we misspell even one word. It took me three readings of your post to realize that you meant to type "today", but my synapses made a connection between "toady" and the practice of resorting to electronic distractions instead of trying to "get into a film." Even my wife (who fortunately does not read these forums and won't know that I am telling on her) has become a cell-phone toady that cannot tear herself away even for shows she claims she wants to see and is "watching" while tapping away on the tiny screen. I'm beginning to identify with theater designers who see no sense in the added expense of screen curtains even in their best rooms. I used to stare with anticipation at the moodily lit rich velvet while overtures played, waiting for the inevitable chill up my spine as the drapes began to part. I can still get some sense of that suspense with the Flicker Alley/Dave Strohmeyer CINERAMA Blu-rays. The digitally addicted toadies of our time (thanks Bryan) will never understand the richness of such subtle drama in a careful presentation, but I miss it sorely. I will be buying DOOLITTLE as an expression of appreciation for days gone by. 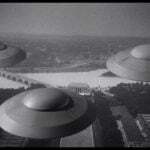 I saw this movie in 1968 when it reached Scotland. We usually saw a film a year after its release back then when prints had completed the Rank chain run (and bore the scars). I was 10. I was bored and I had been so looking forward to seeing it. We had to travel to Dunfermline to see it as none of the more local cinemas were showing it. The pink sea snail was one big disappointment and there were no great songs like we'd had in 'Mary Poppins'. As a 10 year old, I felt cheated and never completely forgave Rex Harrison thereafter. The things you remember as you rapidly approach your 59th birthday. Blimey! I can't wait to see this movie for the first time. Every time I post here lately it seems I'm in a fevered rush, mistakes a plenty. Sorry for all the typos. Oh how I agree with you, The Happiest Millionaire is such a great film, great musical score and I want it so bad on blu-ray! I hated this film when I saw it during its original roadshow release in Philadelphia. I felt the screenplay was overly padded, to flesh out, not story or characters, but a roadshow release. More importantly, it lacked a single singing talent that I had interest in hearing. Newly is the most competent of the bunch, but his vibrato is simply horrific to my ears. Having said all that, I feel compelled to buy this release, to not only honor the apparent care that went into releasing a Todd-AO roadshow; but, more importantly, to hopefully secure a similar release of the infinitely superior, STAR! LaLaLandRecords has just released a 2-CD set of an expanded soundtrack, with early demos and other extras as well. where did you read that TT was sending out an extra disc?? Just finished watching this with two milinnials. They completely enjoyed and were said more than once that they couldn’t believe the movie didn't use CGI. Lol. This was what computer animation could do in 1967. I find it odd how people complain about the length of the film when it's 20 minutes shorter than My Fair Lady and The Sound of Music. And consider Sir Rex made another movie for Fox four years earlier was twice as long and was supposed to be two movie. Perhaps you've heard of it: Cleopatra. Doctor Dolittle is not one tenth as compelling as My Fair Lady or The Sound of Music or that 1964 Disney film you hate which is about the same length. It's also aimed more at younger children, who have notoriously short attention spans. The Ten Commandments runs 220 minutes and the time flies by, but some movies drag at 90 minutes. Who was it who, when asked how long a given movie should be, replied, "How long is it good?" I was a kid in this era and the lengths of movies back then has scarred me for life. I remember being taken to Dr Zhivago and experiencing excruciating torture. Even the good long movies made me itch. I hated going into a movie in broad daylight and coming out and it was night and the whole day was wasted. To this day I have trouble with movies that go over 2 hours. I remember having to force myself to sit through to the end of Brazil when it came out. Now with my theater in my home, I can stop a movie halfway through and continue on another night. Maybe someday I'll get to that dismal second half of Chitty Chitty Bang Bang. But I doubt it. In my experience not everybody thinks that The Sound of Music is ten times more compelling than Dr. Dolittle and in fact many people especially in Europe rather dislike it so as always taste in movies is a tricky thing. My Fair Lady is not really a children's film; their aren't any in it outside of a few playing on a maypole during "With a Little Bit of Luck." And what Alfred P. Doolittle proposes to Higgins based on a misunderstanding of his intentions would essentially make him a pimp; Eliza was not naive to this implication when she said "I sold flowers; I didn't sell myself." But it getting a G rating from the MPAA upon reissue makes one forget that. When Fox still had the home video rights, they tried to sell it as a "family feature" on VHS just as they did with The Sound of Music. Perhaps Doctor Dolittle didn't need to be more than 2 hours and 15 minutes, like The King and I was. The love story seemed superfluous here though "At the Crossroads", which was covered by Bobby Darin and Petula Clark (was she actually considered for Samantha Eggar's role? ), is one of the better songs in the film. They also tried to appease civil rights activists by writing out the character of Prince Bumpo who was present in an early draft of the script. I even heard stories about everything from eco-terrorism to the real animals biting Rex Harrison. But there was just so much pre-release bad karma against the film that it was just never able to shake it off, no matter what. And speaking of 1964, that happened to be the year the baby boom ended and the last year before they started escalating the number of troops sent to Vietnam. That put other musicals at a disadvantage because fewer children were being born. That was also the year the sugar industry started a propaganda campaign similar to that of the tobacco industry. Compared to its predecessor that glorifies it, Doctor Dolittle is, literally, an "eat your vegetables" musical. That made it kind of a hard sell to some of the people who usually do tie-ins with these kinds of movies; how is a fast food restaurant or a cookie company supposed to build an ad campaign around a movie with a song called "The Reluctant Vegetarian"? Who was it who, when asked how long a given movie should be, replied, "How long is it good?" Good question. That is something you take on a case-by-case basis. I respond to that with another question: who gets to decide how long a movie should be? The inevitable fallout from this is that subsequent musicals that would have benefited from the roadshow release model got cut down to general release length preemptively in noticeable ways. Bedknobs and Broomsticks was the culmination of everything the Sherman Brothers had learned in a decade and a half at Disney from staggering success to equally staggering failure. They knew they had something and they hoped the post-production battles that crippled the two prior musicals wouldn't happen again, but they did; they cut a whole reel of the film that formed the emotional core of the story (and the motivation for the love story that was also part of the second book). If that wasn't enough, the re-issue cut another reel that constituted the mechanics of the plot! Luckily they weren't stupid enough to throw it away, save one song that only exists as audio and still photos, and they put it back together again…only to take it apart because screw you. What other reason could there be? Criterion is releasing another film David Tomlinson appeared in, Tom Jones, in both the theatrical and (slightly shorter) director's cut, perhaps Bedknobs will get an official release from Disney that includes the 139-minute restored cut as an option. 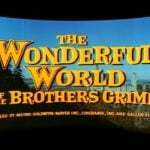 With Willy Wonka and the Chocolate Factory, Bricusse and Newley, learned from the failure of Dolittle by structuring as a smaller-scale musical closer in length to The Wizard of Oz and Song of the South, and was shot outside the US to save money. It wasn't a huge box office hit but there was less money riding on it. And this time Newley just co-wrote the songs without actually being in the film. Just found some time this morning to watch this disc and I have to agree with all the others, it is amazingly beautifully in both sight and sound. My hat is off to TCF and TT on this release! Who was it who, when asked how long a given movie should be, replied, "How long is it good? I think it was Louis B Mayer but I could be wrong. "According to John Cromwell, who made six films for David Selznick (more than any other director), Selznick was never afraid to make long films when other, less venturesome producers would make them short. He would quote Nick Schenck, that veteran showman, who, when asked how long a film should be, would shrug and reply, "How long is it good?" Also a July 1957 news story mentions that the comment was from when Selznick asked Schenck how long the MGM version of "David Copperfield" should be.